Contributor: I cover leadership issues that make or break your workplace experience. Opinions expressed by Forbes Contributors are their own. Leadership is about making others better as a result of your presence and making sure that impact lasts in your absence. In other words, if you're not making a positive, lasting difference, you're not really a leader.Here's a new book that offers some fresh insight into an ageless subject. After four decades of observing and coaching leaders, I've heard thousands of definitions of leadership. One of my favorites is this: "Leadership is about making others better as a result of your presence and making sure that impact lasts in your absence." In other words, if you're not making a positive, lasting difference, you're not really a leader. 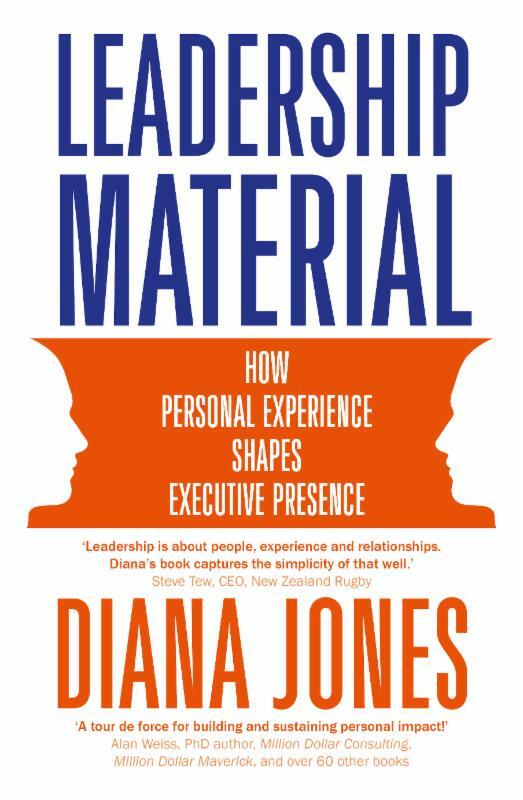 That's the essence of Leadership Material: How Personal Experience Shapes Executive Presence by leadership coach Diana Jones. Many books of this genre cover pretty much the same territory. Leadership Material breaks some fresh ground on issues like making behavioral changes to increase effectiveness, developing empathy, and maintaining emotional equilibrium while under stress. Whether you lead a global enterprise, a small department, or your local community group, this book can help you up your game. Rodger Dean Duncan: What, really, is "executive presence," what does it "look like," and why does it matter? Diana Jones: Much of the writing on executive presence has led leaders in the wrong direction. By emphasizing communication, positional power, and rational behavior, current and aspiring leaders have been led to think that executive presence is a combination of skills that can be learned through tools and techniques. In my work with leaders, however, I've found that executive presence has nothing to do with these. Executive presence is based on leaders' relationships and the experience other people have when they work with them. People who work with these kinds of leaders experience a positive mutual connection. They want to be influenced by them and they want them at the leadership table. The key here is that it's leaders' personal qualities that inspire others to achieve more. And, while these qualities are frequently not visible, they are exactly what inspires others to produce great results. Duncan: In what ways can a person make minor adjustments in behaviors to produce greater impact with others? Jones: Oddly enough, leaders can easily make minor behavioral adjustments that have significant effects in creating positive relationships. Each of these behavioral shifts requires the leader to make a psychological and associated emotional shift. Each is based on a leader's willingness to reflect their authentic self. People feel "close" to leaders with executive presence. They feel included and that the leader is accessible. This is the essence of a mutual relationship. People know what these leaders think and feel about important matters and this is mutual, whether they agree or not. Accessibility doesn't mean sitting down with someone for hours on end. It means that your interactions are purposeful, and that direction, expectations, and appreciation are clear. Duncan: "Approachability" seems to be an important attribute for effective leaders. How can that be cultivated or enhanced? Jones: Approachability is crucial for executive presence. People distance themselves from leaders who are habitually critical, judgmental or frustrated. Approachable leaders smile at people coming towards them. They look people gently in the eye. They are "available" to connect rather than being tuned to a device or other work. Having two or three of these attributes dramatically improves leaders' approachability. Duncan: How is social intelligence different from emotional intelligence? Jones: Emotional intelligence relates to an individual's capacities for self-knowledge, self-insight, and self-acceptance. They can read and act wisely with their own emotional responses. Daniel Goleman's work is seminal here. Social intelligence defines our capacities to function effectively within formal and informal groups. An important distinction is that socially intelligent leaders read the "mood" of the group, and tailor their interactions accordingly. They can assess the "felt experience" of the group and respond wisely. Duncan: What are some specific behaviors a leader can model to help others be more engaged in the success of the organization? Jones: There are three central behaviors. The first is to be inclusive. For example, by asking "What are your thoughts?" or "Tell me more." When this is genuine, leaders create inclusion and engagement. The second behavior is an orientation toward the future rather than the past. The third is to be known for developmental conversations rather than transactional ones. Duncan: As part of their leadership development programs, many organizations use feedback tools. What's your view of this tool? Jones: For any feedback to work it has to be personalized, within the leader's current and future context, and sourced from people whose opinion is valued by the recipient. To be effective, feedback has to be within trusted relationships. Almost anyone can make an accurate assessment of someone else. This is of little help unless the recipient is willing to listen and wants to learn from the assessor. Where there is criticism, annoyance or judgment in a relationship, "feedback," no matter how expertly given, won't be accepted or acted upon. One of the openers I use to let people know their impact is by observing and being curious, "Are you aware that your voice is really loud right now?" Whether the response is yes, or no, a two-way conversation is likely. I was working with Alan, the company accountant. He responded, "Yes people tell me that all the time." "Oh dear," I thought. Then I asked, "Do you want to know how it affects me?" This creates a particular moment in our interaction. He looks at me, alert and thoughtful. I am also alert, taking care with what I am saying. I continue. "I can hardly think or concentrate. I can imagine your colleagues might think you don't want to hear from them. You sound so certain." He was horrified. Then somber. "No-one has cared enough about me to let me know that until now. I hadn't realized." I went on to ask him where he had learned this behavior. He told me he had grown up in a group of 20 siblings and cousins. He had to shout to be heard above the noise. This had become habitual as he progressed in his organization, but it no longer worked. Rodger Dean Duncan is the bestselling author of CHANGE-friendly LEADERSHIP: How to Transform Good Intentions into Great Performance. 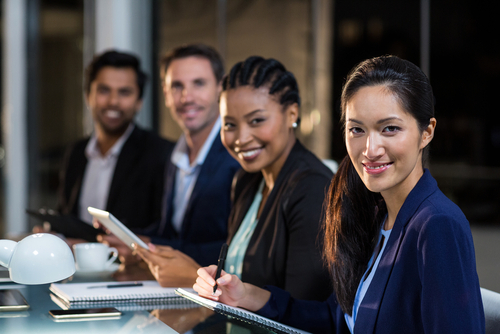 The Executive Presence programme is ideal for experienced senior leaders (Deputy Chief Executives, GM's, and Directors) working with Ministers and senior leadership teams wanting to dramatically increase their capacity to inspire and influence others. 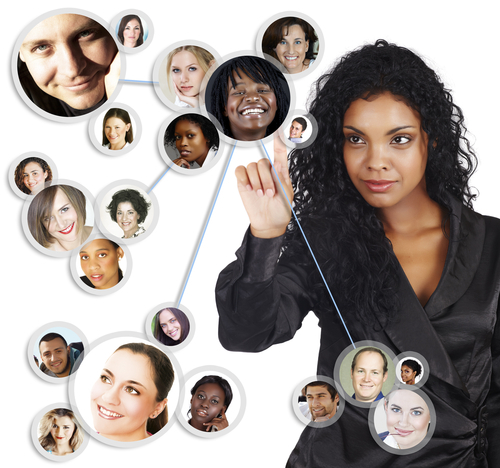 give you greater confidence in influencing in groups. Leadership Material: how personal experience shapes executive presence is now available in all good bookshops throughout New Zealand and Australia. It has even been spotted in airport bookshops. I was lucky enough to have a book signing in Barnes and Noble, 5th Ave New York, and in Unity Books and Whitcoulls in Wellington. To my delight the book is attracting 5 Star reviews on Amazon. Here's my interview with Andrew Dickens on Newstalk ZB Why all effective leaders need a soft side.